The first day of testing is complete and we started with a bit of deja vu as the McLaren of Alonso was hoisted onto a recovery truck and driven back to the garage. Fortunately, a faulty wheel nut was to blame and Alonso was back out after about 2 hours in the garage. Although you would forgive the team looking on with angst as Toro Rosso completed lap after lap with their nice new Honda engine. The only Honda powered team on the grid completed an impressive 93 laps on day one which proved to be a very promising day for the team with Brendon Hartley sitting 8th in the timesheets. Despite Honda’s impressive mileage, the Renault engines were the stars of day one. Riccardo topped the timesheets with a 1m20.179s and was the only driver to break a century recording 105 laps. Red Bull’s time on day one is 1.5 seconds faster than the fastest time set on medium tires in all 8 days of testing in 2017. An impressive jump forward over winter with faster times sure to come. Renault were one away from a century of laps and finished 4th and 5th in the timesheets as Hulkenberg and Sainz split the day between them. Alonso’s fastest time would have meant a 5th place finish but his time was later disqualified for cutting the chicane. Impressive mileage and speed means day one goes to Renault power but there’s a long way to go. The front runners of Mercedes and Ferrari finished 2nd and 3rd behind Red Bull with trouble free sessions. I’m sure Mercedes will turn the engine up before the end of the week so we can all see what the real benchmark is. Bottas got the better of the running in the morning session as Hamilton was restricted to just 25 laps as cold and wet weather restricted the afternoon session. With cold weather forecast for the next 2 days it could be Thursday before we see some flying laps again. Despite most teams finishing the afternoon session early Williams, Haas and Sauber all got over 50 laps under their belts. The only team to struggle on day one was Force India. Their russian test driver Nikita Mazepin spun out in the morning session and did not return in the afternoon finishing the day with 22 laps. It’s hard to tell how much we learnt from day one with the weather having such negative effects on the speed on show. However, the reduction in engine parts available this year seems to have had the right effect. 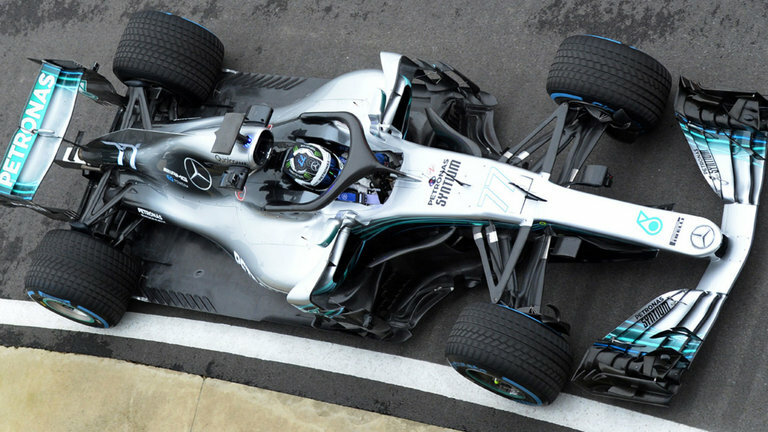 The teams have been able to develop there packages from last year without the regulation changes to deal with and reliability has improved across the grid.